War is not sustainable when you come to know your enemy as a person. Why See Arizona Opera - Silent Night? Among the horrors of the trenches of the First World War, an extraordinary occurrence of shared humanity bridges the gap between soldiers of all sides in this Pulitzer Prize-winning opera from Kevin Puts and Mark Campbell, based on the historical story of the 1914 Christmas Truce. Presented as part of Arizona Opera's Modern Masterworks, Silent Night is an unmissable drama that takes us into the heart of the devastating conflict, asking us to consider the validity of war in the pursuit of shared peace between nations. 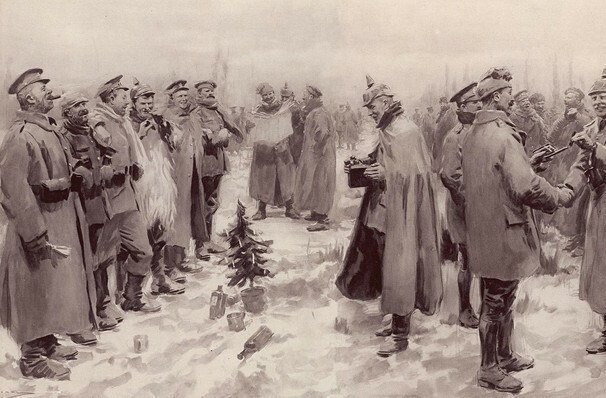 On Christmas Day of 1914, a series of unofficial cease-fires on the Front Line saw British, French and German troops leaving their trenches to exchange seasonal greetings, sing together and even play a few games of soccer. An unprecedented event in the early months of WWI, it provided respite and an insight into to those on all sides for both soldiers, and those at home. 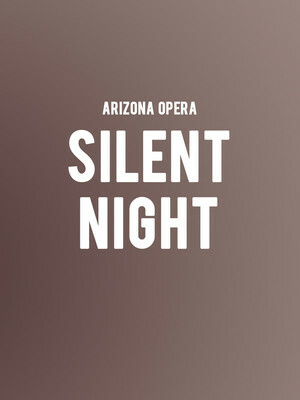 Seen Arizona Opera - Silent Night? Loved it? Hated it? Sound good to you? Share this page on social media and let your friends know about Arizona Opera - Silent Night at Phoenix Symphony Hall. Please note: The term Phoenix Symphony Hall and/or Arizona Opera - Silent Night as well as all associated graphics, logos, and/or other trademarks, tradenames or copyrights are the property of the Phoenix Symphony Hall and/or Arizona Opera - Silent Night and are used herein for factual descriptive purposes only. We are in no way associated with or authorized by the Phoenix Symphony Hall and/or Arizona Opera - Silent Night and neither that entity nor any of its affiliates have licensed or endorsed us to sell tickets, goods and or services in conjunction with their events.